The large kitchen-dining room has a gallery with steps down to the separate sitting room below which opens out onto a patio. 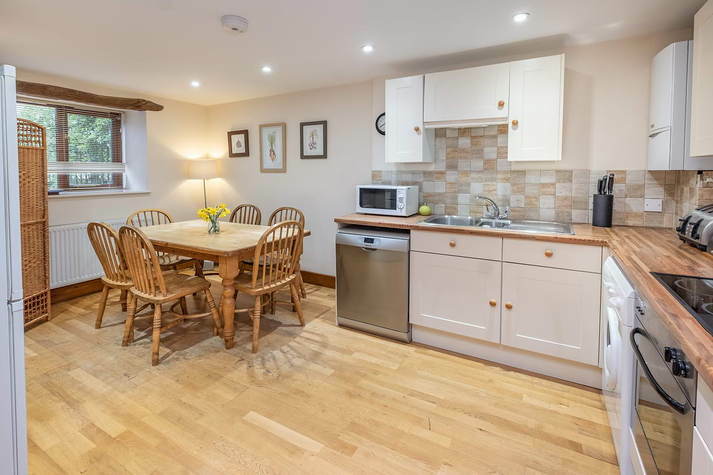 The patio has garden furniture, loungers and a barbecue and looks onto an acre of lawns with views across farmland and the valley. 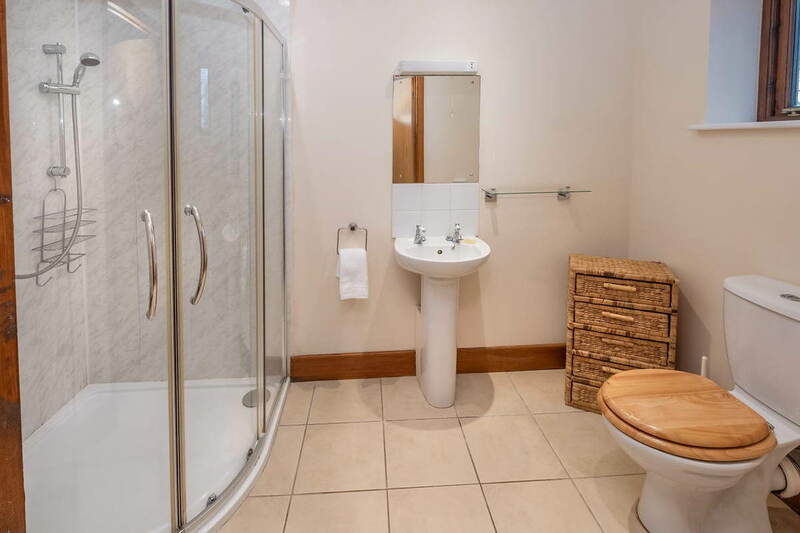 The downstairs bedroom has a walk-in large shower in the en-suite bathroom and separate vehicle access to the rear of the property. 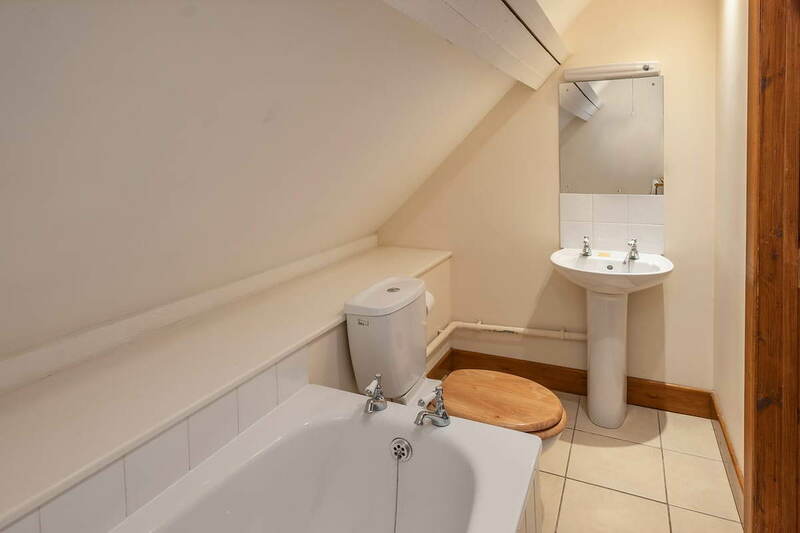 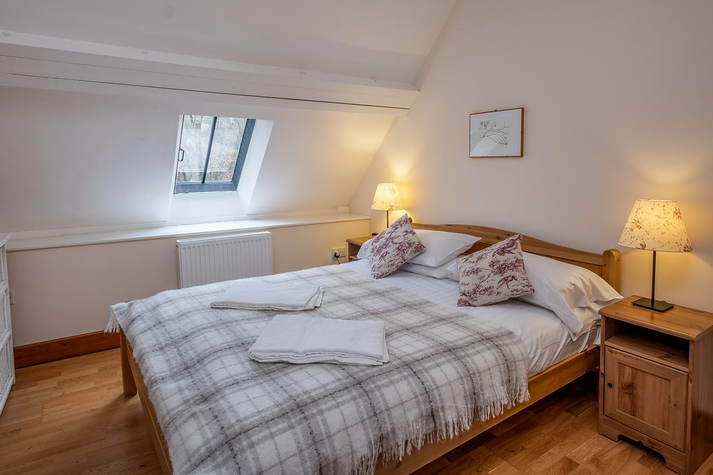 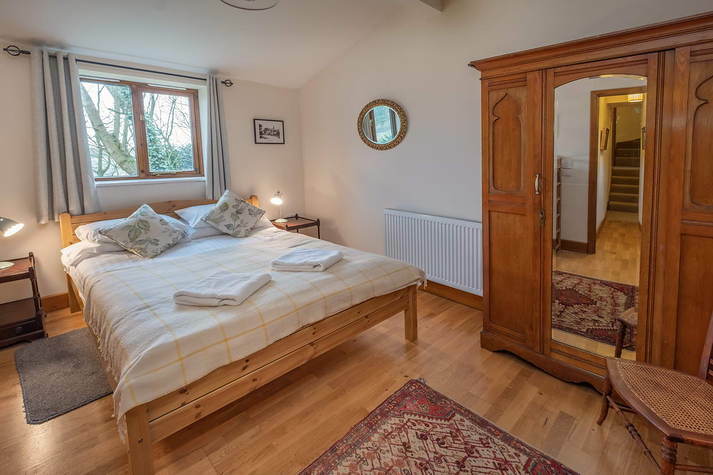 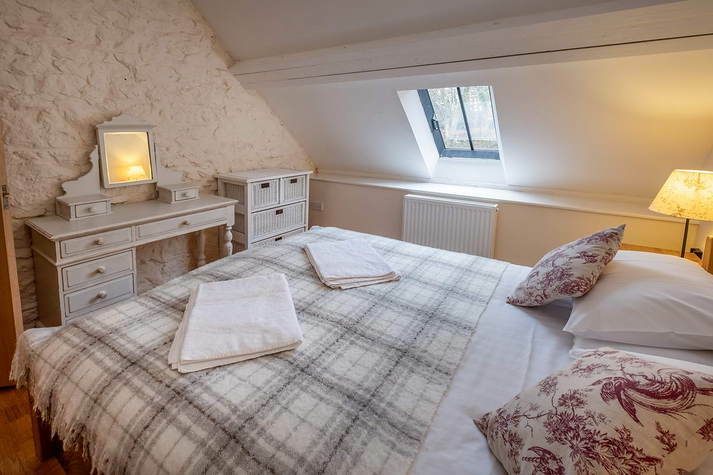 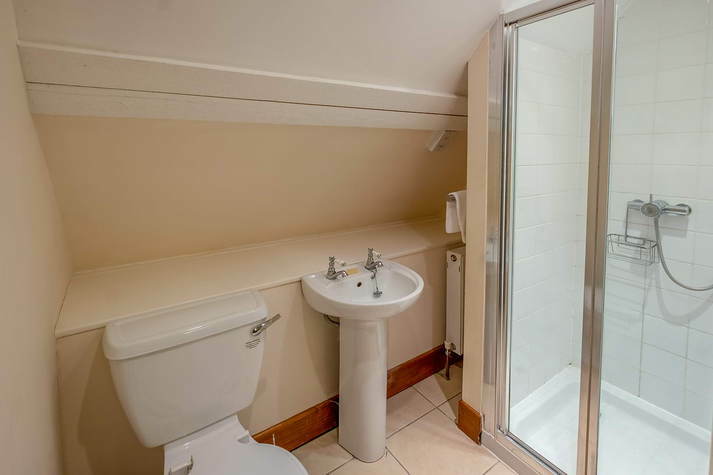 Upstairs is one double room with en-suite bathroom with a bath. 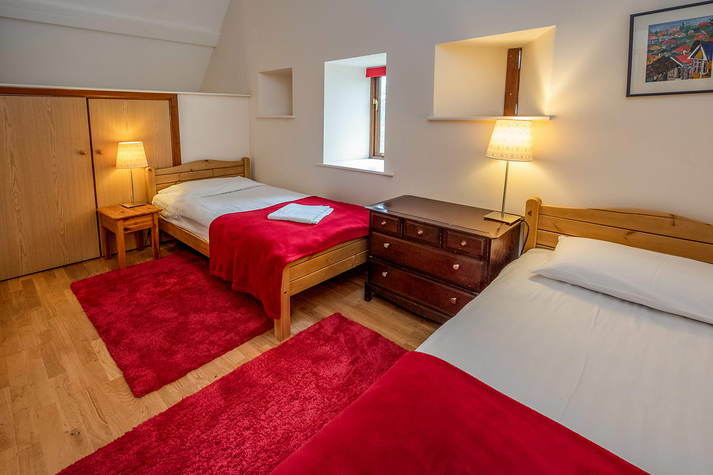 There is also a spacious twin bedded room and a separate bathroom with shower. 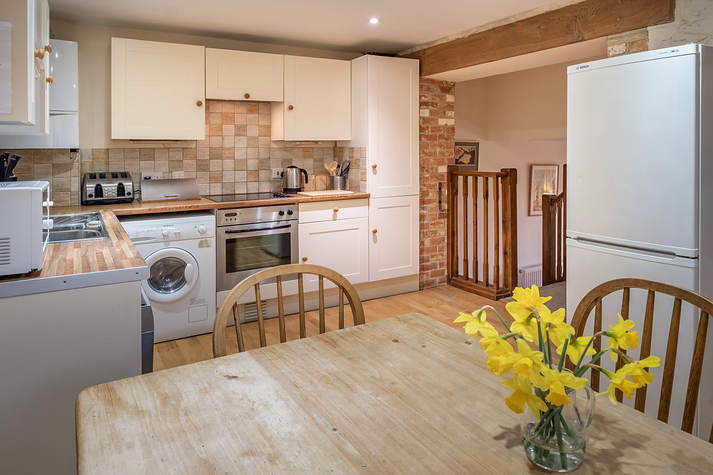 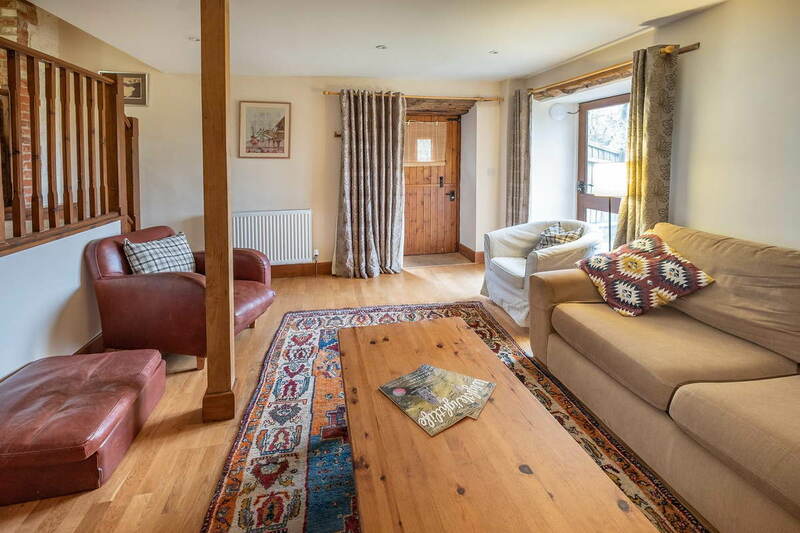 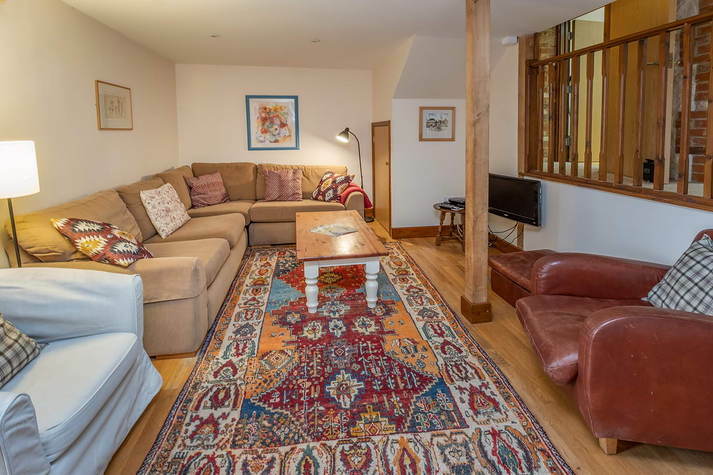 The cottage is centrally heated and is equipped with TV, DVD player, dishwasher, washer/dryer, fridge/freezer, microwave, electric cooker & hob. 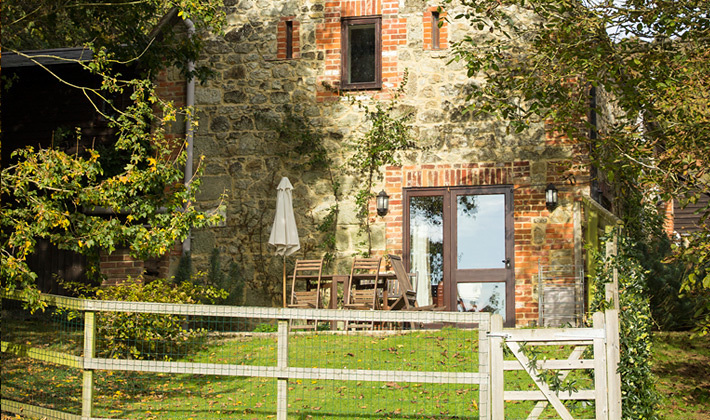 Mill Cottage is the southern half of Little Mersley Barn, built in about 1720 and used as a mill in the 19th century. 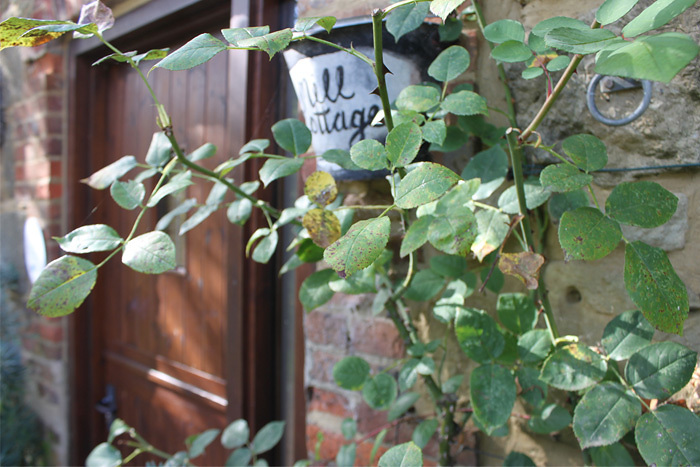 The original mill stones can be seen in the entrance to Mill Cottage. This tasteful conversion to a three bedroom spacious property was completed for summer 2007.